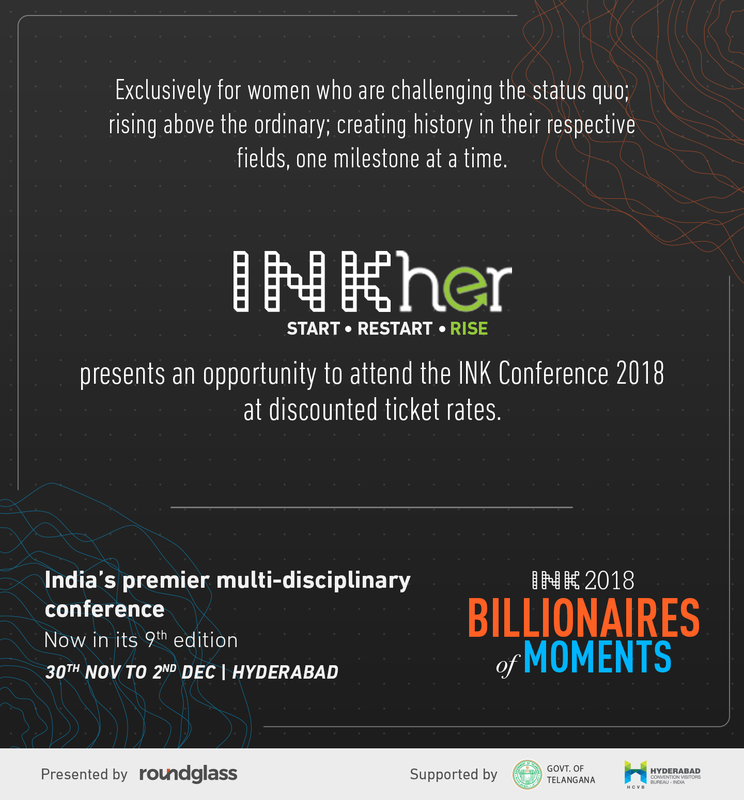 INKHer is thrilled to invite you to INK Conference 2018, on an exclusive discounted ticket. Come and be part of 3 days of immersive experience with visionaries and thought leaders from across the world. Since its inception in 2010, the INK stage has seen powerful women leaders including Catherine Mohr, Flavia Agnes, Anu Aga and Zia Mody, among others. The theme this year is ‘Billionaires of Moments’ to motivate each one of us to pursue moments that matter, and celebrate those who create such moments for others. Look forward to seeing you there!